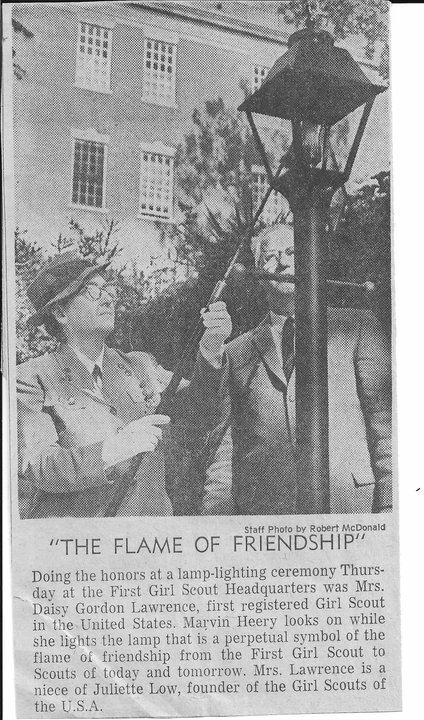 Last month, we wrote about the 90th birthday of Camp Timber Ridge as well as the 25th birthday of the History and Archives Committee. Well, next month, on December 7th, we are having a birthday celebration! 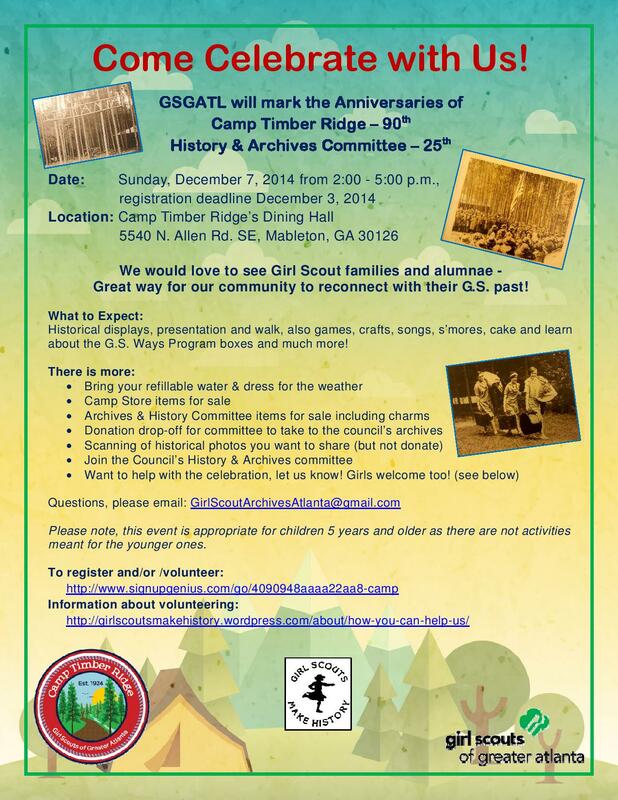 The GSGATL History and Archives Committee, along with Camp Timber Ridge, is in the process of planning a joint birthday celebration and you are invited! 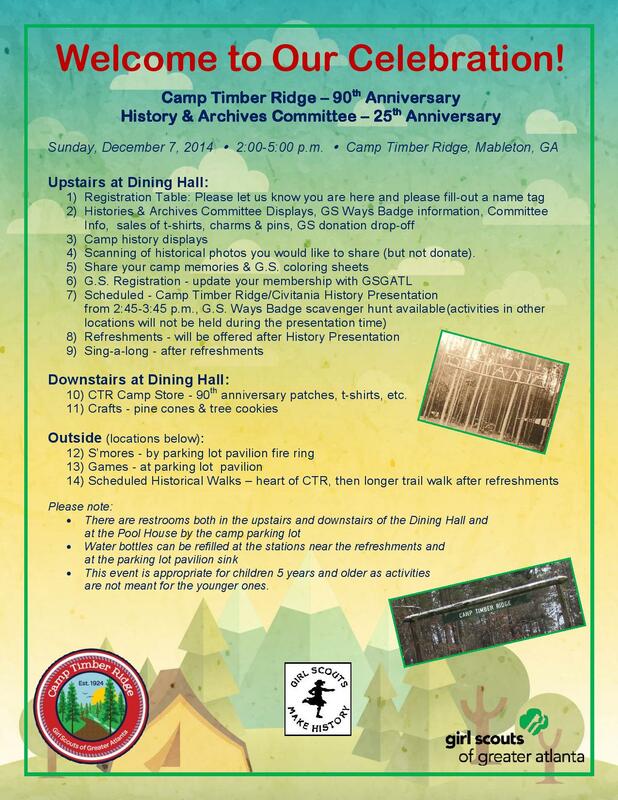 There will be historical displays of Girl Scouts of Greater Atlanta and Camp Timber Ridge, a walking tour of the camp, games, crafts, songs, s’mores, and lots of other goodies! 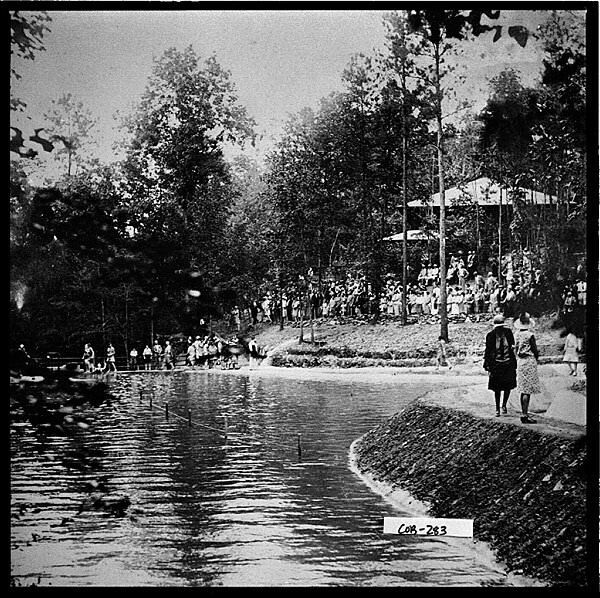 Please click on the above picture for a larger view and to read more about it. We are also looking for volunteers between now and the celebration! All school aged children are invited to attend the celebration and older girls, 6th grade and up, are invited to help out! There is a lot of planning and preparation that needs to take place between now and December 7th and this is a perfect way for Cadettes, Seniors, and Ambassadors to earn some community service hours. Junior troops are also invited to explore the possibility of starting their Bronze Award at Camp Timber Ridge! Troops are invited to make a presentation for the birthday celebration and create and carry out a sustainable project at camp too! Download a pdf version of our volunteer flyer or register to attend the event here! And please, if you have any questions about the event, email us at GirlScoutArchivesAtlanta@gmail.com! Spread the word, too! We are really excited about the celebration and hope to see everyone there! 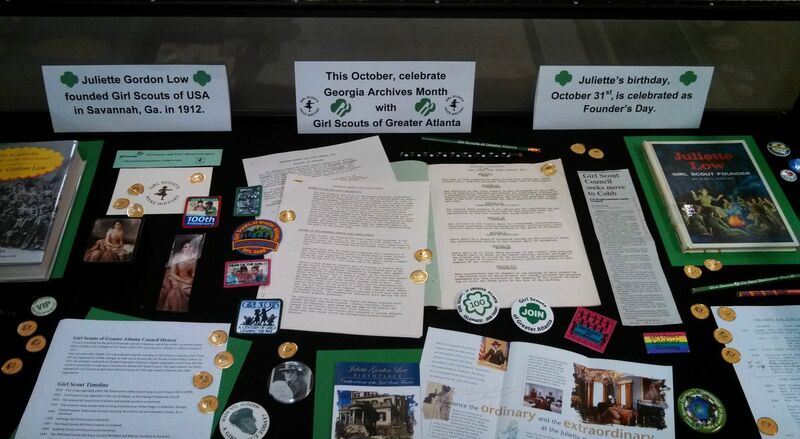 Girl Scouts of Greater Atlanta Archives Committee Turns 25! Tomorrow, October 7th, the GSGATL History and Archives Committee is 25 years young! During these 25 years, the collection of artifacts that were gathered together by Girl Scout volunteers has grown from just a couple of boxes to our now practically overflowing archives room at the Mableton Service Center. Much of the same things that we discuss at our meetings today were on the agenda for that first meeting. Questions were asked, such as, “How can we share our history with the public? How can the public help us?” and “How can we reach council members and scouts?” Our priority has always been and continues to be sharing our heritage and getting our history out there for all to learn. 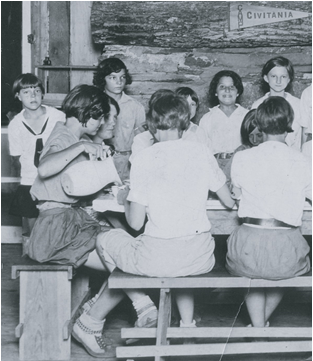 From the very beginning, the Archives Committee has been comprised solely of volunteers who are passionate about collecting and preserving documents, photos, and other items regarding our Girl Scout heritage in order to share with others. Out of the original six volunteers who met on that fall Saturday in 1989, one member, Mary Ann Milton, is still very active in the committee. 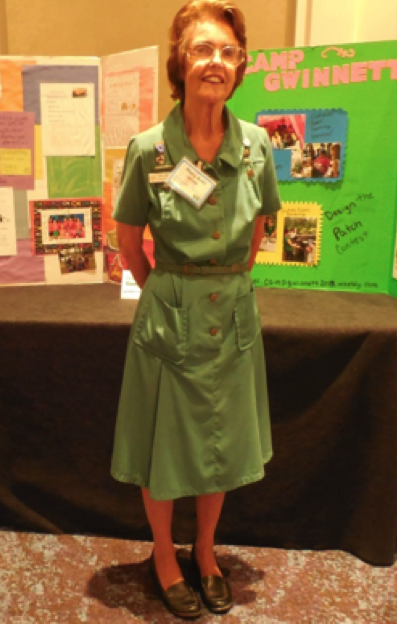 A vital part of our committee, Mary Ann is shown here wearing a mid-century vintage Girl Scout uniform as she helps represent the committee at the Girl Scout Volunteer Leadership Conference held at the Cobb Galleria in Marietta, Ga. on August 9th, 2014. The vast majority of our collection today has come from interested people just like you! One of our mottoes is “Your Trash is Our Treasure!” What you might think is unimportant could very well be that special item that we’ve been looking for! That Daisy uniform that you just no longer have room for in that crowded coat closet? That childhood Brownie handbook gathering dust on the shelf? Old cookie prizes that your daughter doesn’t play with anymore? Pins and badges that you came across at the local thrift store? Every little thing is appreciated and valued. We also offer information for anyone that might be interested in preserving history for themselves or their troop and/or Service Unit. We can answer questions such as “What is cataloging? Accession? What is meant by acid-free paper, etc.? Where can I get training to learn archival techniques?” We’re also always looking for new members for our committee! Are you interested in the past? 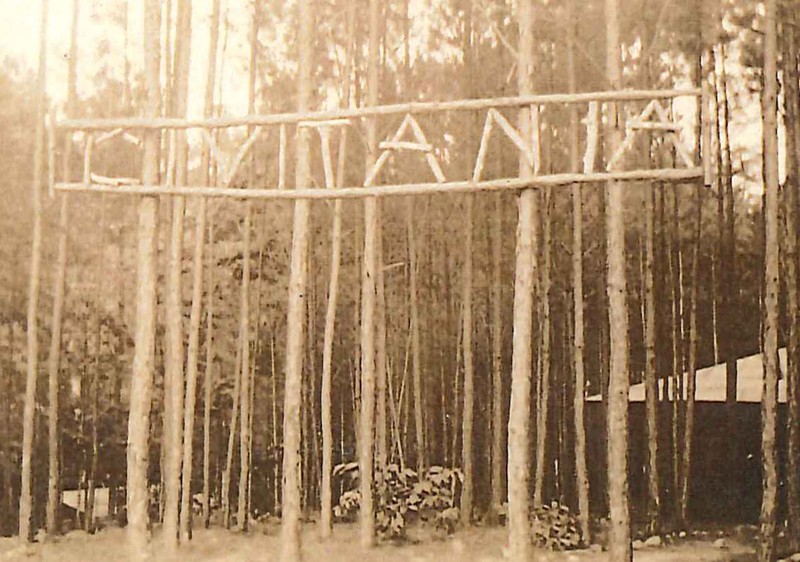 Are you interested in Girl Scouting’s past? Just want to give your time to Girl Scouts in an incredible way? Please contact us! 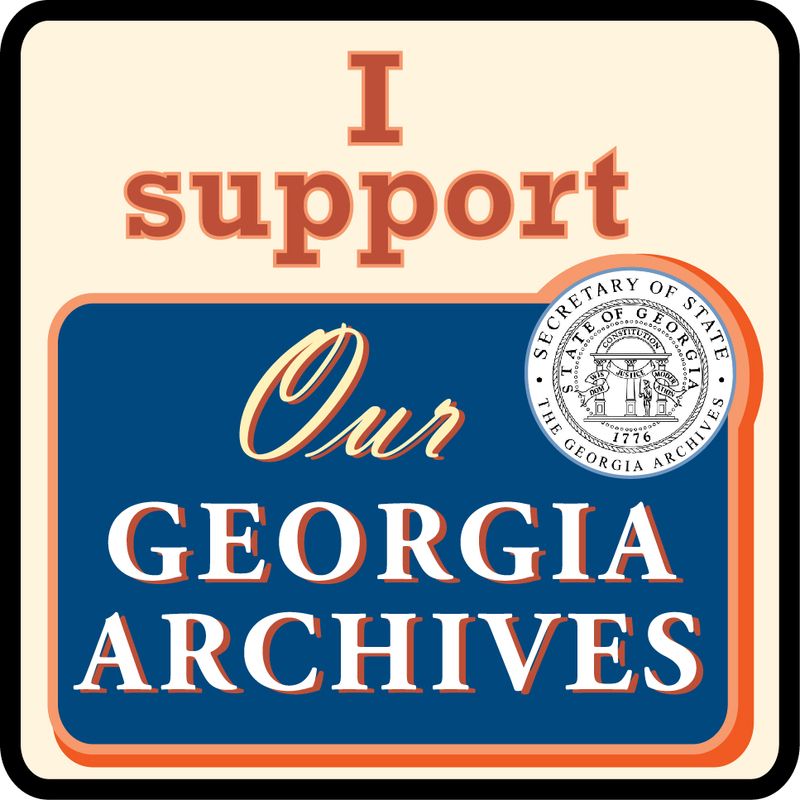 Here at the GSGATL Archives Committee, we hope we’re around for at least another 25 years! We can’t wait to celebrate many more birthdays with you. Girl Scouts always have and always will Make History! 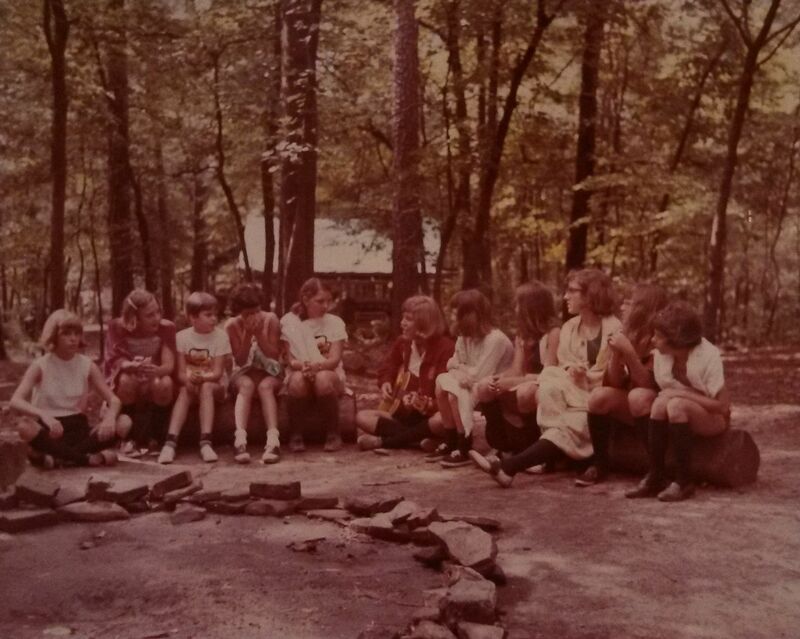 Do you remember celebrating your Girl Scout troop’s “birthday”? Did your Girl Scout handbook have a picture of a birthday cake with Girl Scout membership stars spread out around it? 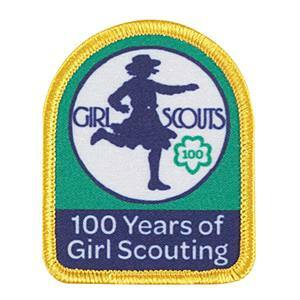 Then you may remember a time when the “Girl Scout year” was not October 1 – September 30! For many years, Girl Scout membership forms and national dues were collected and returned to Girl Scouts of the USA in a staggered pattern. Your troop might re-register in September while a friend’s troop in another part of the council registered in March; there was a six-month-long registration period, with different service units assigned different months. The month your troop registered in was your troop’s birthday month, and many troops celebrated with a cake, party, and the presentation of membership stars. This staggered registration pattern meant local councils didn’t have to collect and process all their troop memberships at the same time. When Girl Scouts of the USA changed to one consistent Girl Scout year (after all, most troops are organized and register for the first time in the fall) councils felt like they were caught up in an avalanche of forms and fees. Even the advent of computers for data input didn’t help much – some troops were getting their Membership Cards just about the time school closed for summer vacation. In 1998-1999, GSUSA introduced Early Bird Registration – what we now know as Spring Registration. Troops collected their national dues and filled out the membership registration forms for the coming Girl Scout year; that way council had up to five months to process the forms. Today, no one – including troop volunteers – has to add re-registration to their fall Girl Scout chores unless they choose to! 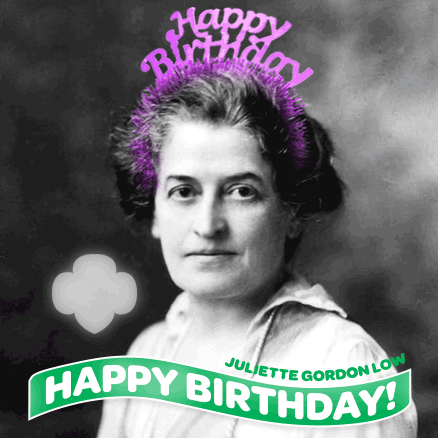 Today is the 99th Birthday of Girl Scouting! 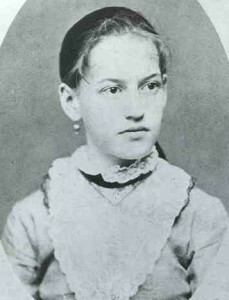 Juliette “Daisy” Gordon Low assembled 18 girls from Savannah, Georgia, on March 12, 1912, for a local Girl Scout meeting. She believed that all girls should be given the opportunity to develop physically, mentally, and spiritually. With the goal of bringing girls out of isolated home environments and into community service and the open air, Girl Scouts hiked, played basketball, went on camping trips, learned how to tell time by the stars, and studied first aid. Share with us how have you been celebrating!